Xur carries the usual this week. 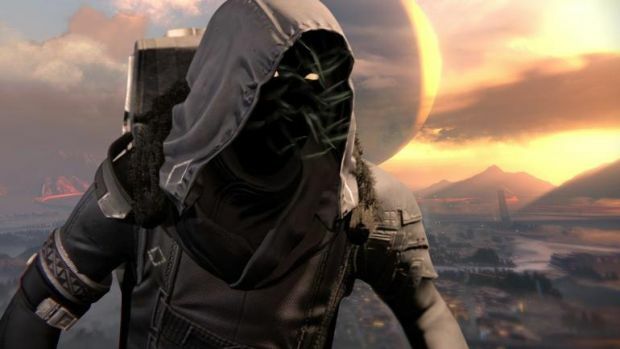 Exotic vendor Xur has returned to the Tower in Destiny this week, carrying the usual gear and weapons to sell. He’s by the Vanguard and will remain there until May 7th, 2 AM PST. This week, Xur is carrying Twilight Garrison (Titan chest), Don’t Touch Me (Hunter gloves) and Voidfang Vestments (Warlock chest), each for 13 Strange Coins. Each piece is worthwhile in its own way though PvP players will want Twilight Garrison for its mid-air dodging and Voidfang Vestments for its grenade energy on respawn. In the weapons category, there’s the Exotic scout rifle MIDA Multi-Tool	for 23 Strange Coins. Along with additional movement while aiming and increased agility, it’s a fairly reliable high rate of fire scout rifle for PvP. The Legacy Engram is for a Year One heavy weapon and costs 31 Strange Coins. Decide for yourself how badly you want a Year One Gjallarhorn or Truth. What are your thoughts on Xur’s stash this week? Let us know in the comments below and stay tuned for more information.